Retailers face intense competition for a decreasing share of the customer's wallet and the challenges are even more acute in markets that are deflationary. Promotions now play an increasingly important role in growing sales but an excessive dependence on deep and broader discounts and promotions can damage not only the bottom line but also the brand. 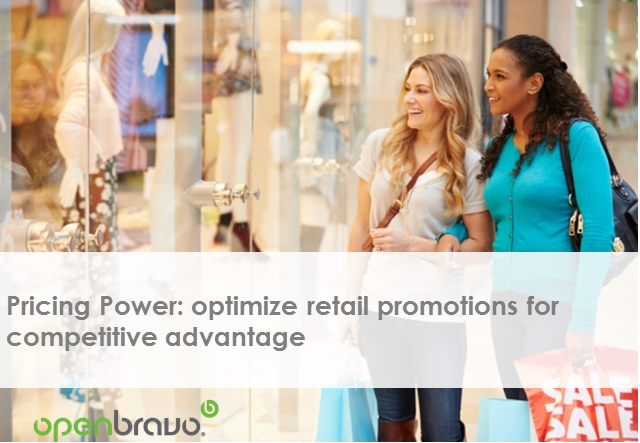 In this webinar, we highlight some of the trends that are driving the increased use of promotions and discounts in retailing. We explain how information technology can help retailers develop "smarter" promotional and discount strategies. These seek to influence customer behavior and boost loyalty instead of simply generating a short-lived sales boost or clearing inventories. Roles with business responsibility in business processes in the Retail industry, for instance, Marketers, Store Managers, CIOs, CMOs, Merchandise Managers, etc.